WE OFFER COMPLETE PACKING SERVICES ! Moving house but don’t know where to start? Here are some packing tips that will give you a head-start. Before you start packing, get rid of everything you don’t want to take with you. Sell items that are in good condition, return things that don’t belong to you, or donate unwanted clothing, kitchenware and toys to your local charity store. Make the unpacking process easier by keeping like items together, like books with magazines or kitchenware with ornaments. When you dismantle furniture, place the legs and screws into a zip-lock bag so you don’t lose them. In the first place be sure to pack light items like bedding into large containers and heavier items like books or tools into smaller cartons. Be kind to your back: never overload your boxes. Make it easier on yourself and your moving team by labeling the carton for the room it needs to go to at your new home (e.g. kitchen, master bedroom, office). Furthermore label the carton with a brief description of its contents. In case it contains anything breakable, add ‘FRAGILE’. Use good strong cartons and boxes. When wrapping breakables, use clean white paper: newspaper will leave ink stains. Be sure to seal your cartons with packing tape. 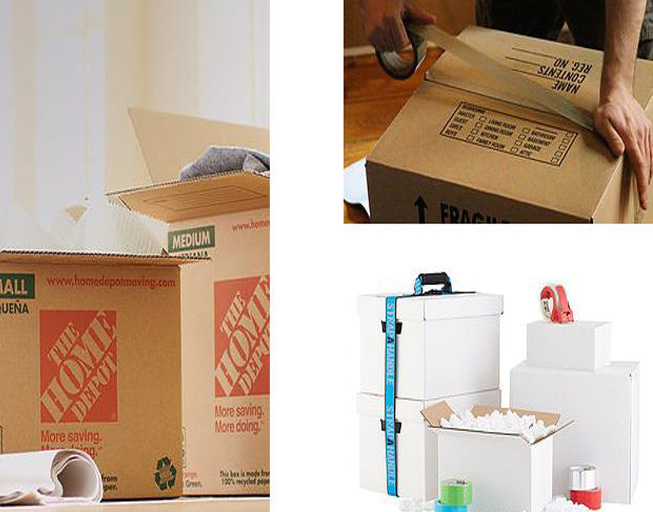 We can provide high-quality cartons and tissue paper; just ask your moving consultant. Start by scrunching up paper and placing it into the bottom of the carton to create a cushion for your belongings. Moreover wrap all breakables individually in several layers of paper. Never stack glasses inside each other. In addition make sure you place them upright in the carton (not on their sides) to avoid breakage. Plates and dishes can be wrapped together with layers of paper between. In case that there’s more than one layer in a carton, put a layer of scrunched-up paper between each layer for added protection. Finally, add another layer of scrunched-up paper, then seal the carton with packing tape. ​Would you like an Accurate Quote? The best way to movers get an Accurate Quote is to take pictures off what you have to move on your Mobile phone and send them to us.​ Moreover all trucks come with blankets, bed bags, 2- 4 wheel dollies, shoulder straps and furniture slides (to protect your furniture). In addition floor runners ( to protect your flooring) and a tool box to take apart any kind of furniture and dis/connect washer and dryer is also included.